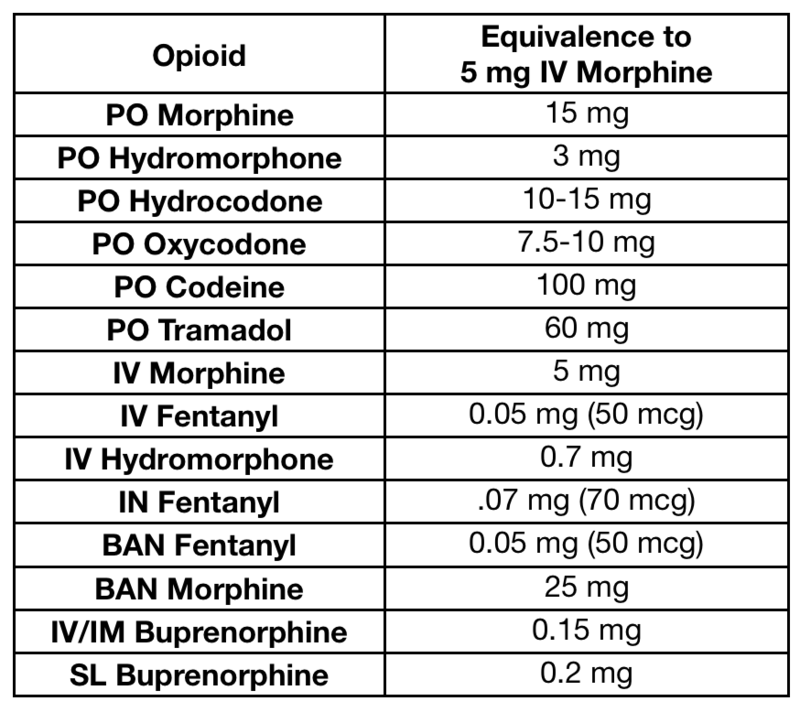 Equivalence to 5 mg IV Morphine column was originally included in this table, however, equipotency estimates are widely variant and often based on scant, methodologically poor data. 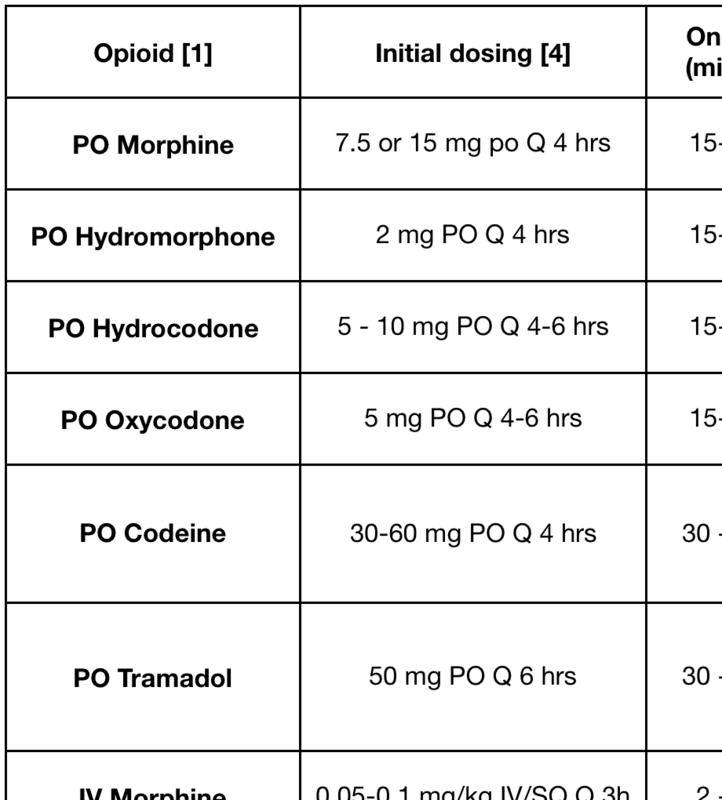 We find equivalence estimates may confuse initial dosing strategies and therefore have pulled out the column but it can be viewed separately here. 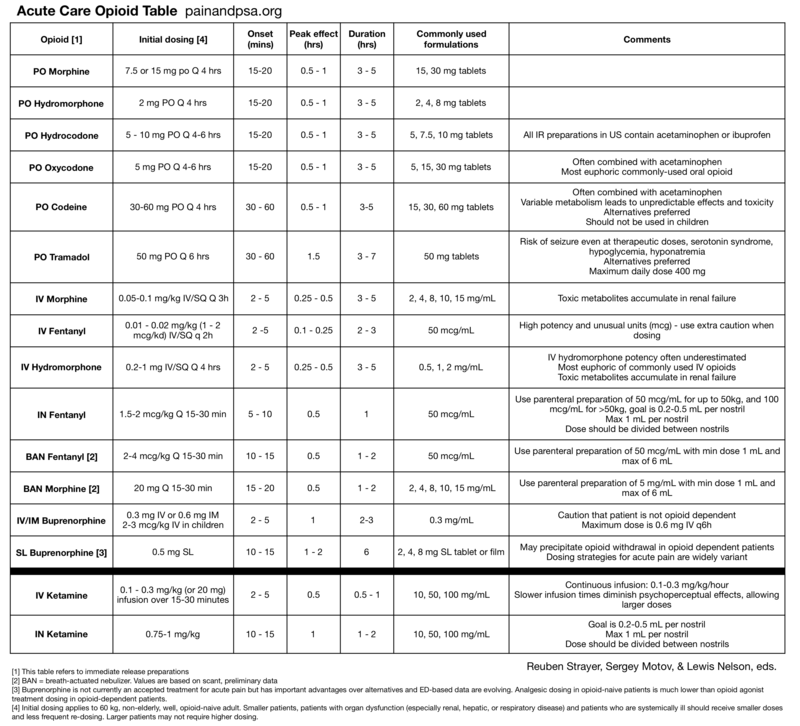 The authors thank Maryann Mazer-Amirshahi and Bryan Hayes for their review and erudite commentary.